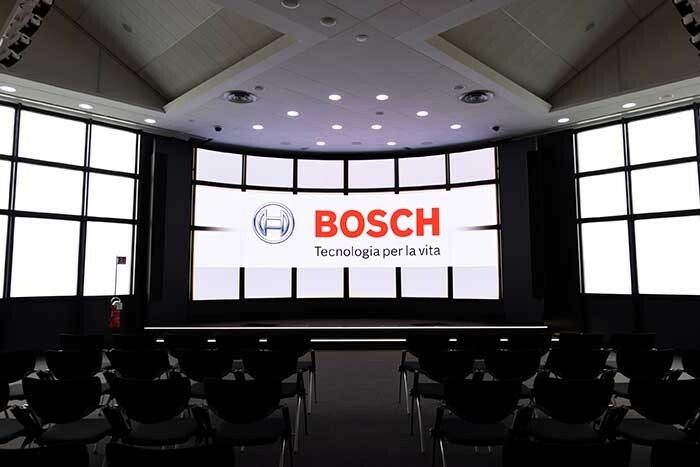 Italy – Clonwerk Simposium recently equipped the Italian headquarters of Bosch in Milan with a customised sound reinforcement system from Dynacord and Electro-Voice (EV). The installed solution offers a unique combination of high speech intelligibility, powerful music reproduction and architecture-friendly aesthetics. Loudspeakers from the Dynacord Vertical Array family and the EV EVID series are installed in the auditorium and adjoining Galileo Room, as well as subwoofers, amplifiers, system control and touchpanels. 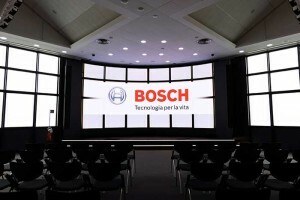 Over a century ago, Bosch opened its first sales office for Italy in Milan. Today the company has over 5,700 employees at 17 locations across the country. 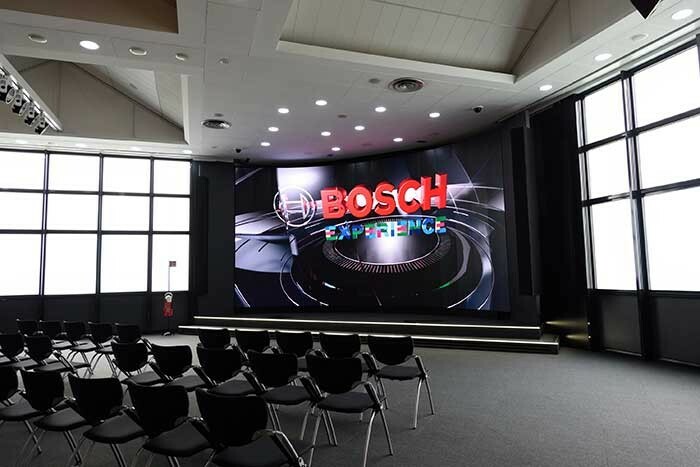 In time for the Expo World Fair 2015, Milan-based Clonwerk Simposium installed a new Dynacord and Electro-Voice sound system in the Bosch headquarters of Italy, which is located in the capital of Lombardy to this day. In the adjoining Galileo Room two Electro-Voice EVID two-way coaxial ceiling loudspeakers provide sound reinforcement. Six Dynacord Power-H amplifiers with RCM-28 remote control modules provide very high and stable output power for the loudspeakers, as well as supervision and control via touch panels. This allows the staff to comfortably control zones and volume levels remotely. To ensure that the system is easy to monitor and control, Clonwerk Simposium chose an Electro-Voice NetMax N8000 system controller. A top-of-the-line digital matrix system offering comprehensive management of all aspects of professional sound reinforcement systems.